Optus has today announced the launch of two new Android tablets, both which will be sold on 24 month contract plans with no upfront cost. Acer's Iconia Tab A501 and the Dell Streak 7 are available through Optus from today. Both are Android tablets running the 3.2 version of Google's "Honeycomb" operating system. The Acer Iconia Tab A501 has a 10.1in screen while the Dell Streak 7 has a smaller 7in touchscreen. Although Optus has become the first telco to sell these devices in Australia, both are essentially older products: the Dell Streak 7 was launched in the US as far back as February, while a Wi-Fi only version of the Iconia Tab A501 — the Iconia Tab A500 — went on sale in Australia in April. "The versatility of both the Dell Streak 7 and Acer Iconia really signify how influential tablets have become in our digital lives," said Gavin Williams, Optus' consumer marketing director. "We're excited to range these two excellent devices in the lead up to Christmas to maximise the choice for customers looking to treat themselves or others." The Dell Streak 7 has a dual-core processor, a 5-megapixel camera, 16GB of internal memory and weighs 450g. Dell says its been designed for "portable use". The Acer Iconia Tab A501 also has a dual-core processor and a 5-megapixel camera but adds a HDMI-out port that will connect it to a high-definition television and it also has a full sized USB port. It comes in both 16GB and 32GB models. Optus will sell the Dell Streak 7 for $0 upfront on its $29 tablet plan over 24 months. The plan includes 4GB of data per month. The Dell Streak 7 will also be sold for $279 on pre-paid and will include a SIM card with start-up credit. 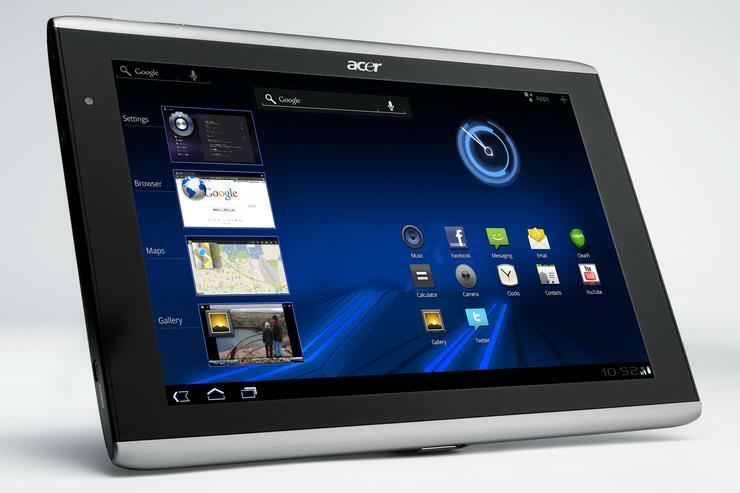 The Acer Iconia will cost $0 upfront on the $39 Optus tablet plan over 24 months. This plan includes 8GB of data per month.